It is the opening night of the 2019 NHL playoffs. Over the next 2 months, the 16 teams that qualified for post season play will leave everything they’ve got out on the ice in the quest for the Stanley Cup. There will be overtime, there will be body checks, big saves, pretty goals, ugly goals, banged up bodies. It is incredible to think that from this point on, only one team will win their final game of the season. When the dust settles, the other 15 teams will join the ranks of “maybe next year” while one team lifts the much sought trophy. It will take team work, effort, selflessness and our key word for the night… Perseverance. 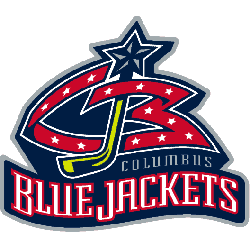 We will look at a couple members of the Columbus Blue Jackets in our look at perseverance – they are not the only ones that battled against the odds to find their place, but their story shows how, with reliance on God, strength to persevere shows up in the face of hardship. First, let’s look at Matt Duchene. Drafted third overall in 2009 by Colorado, Duchene quickly became a star for the Avalanche scoring 55 points in 81 games and leading the league’s rookies in goals and points that year. He played for Colorado for 8 seasons before being dealt to the Ottawa Senators. At this season’s trade deadline, he was on the move again, this time to Columbus. A leg injury in his third season reminded Duchene to keep the focus on God. 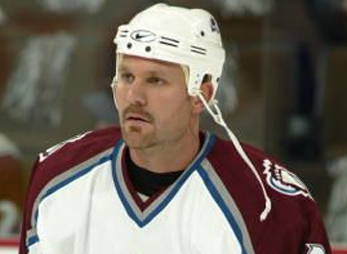 In his third season with the Avalanche, however, he sustained a serious knee injury. As you can read in this story from Christian Sports Journal, that the injury kept him on the shelf for 7 weeks, missing 20 games. During that time, the team Chaplain reminded Duchene of a Bible passage that helped him in his rehabilitation. James 1.2-4 says “Consider it pure joy, my brothers and sisters, whenever you face trials of many kinds, because you know that the testing of your faith produces perseverance. 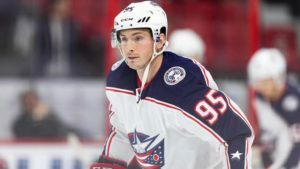 Let perseverance finish its work so that you may be mature and complete, not lacking anything.” Here is Duchene sharing the story of his injury with Hockey Ministries International. And now to Blue Jackets Assistant Coach Brad Larsen. During his playing days, Larsen was twice diagnosed with different forms of cancer. The second diagnosis was around the same time he accepted an invitation to his team’s chapel program. Here are my takeaways from these stories. 1- Perseverance is a process – God is able to help us persevere through any circumstances. Philippians 4.13 says “I can do ALL THINGS through Christ who strengthens me” (emphasis mine). That verse frequently is used to recognize God’s work in our great achievements. However, it is important to consider the other side of this verse as well. Depending on God helps us through the darkest days and hardest circumstances as well. When our faith is tested and we learn to lean on Him, our faith grows and produces perseverance. It is a long hard journey, but coming through it shows God’s power to us in amazing ways. 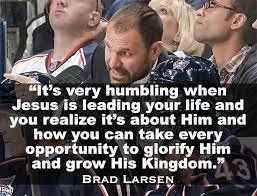 2- More to life than success – In both of these stories, these men who by most measures are successful hockey players. And both of them learned that there must be more than on ice success and the fame and fortune that it brings. 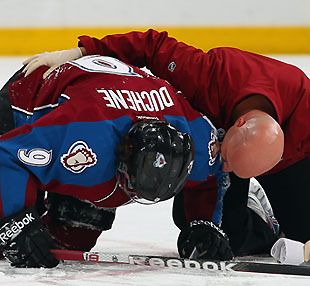 Duchene sustained a serious injury that did not but could have threatened his career. Larsen was diagnosed with 2 forms of cancer a couple years apart. These instances led them to seek God and focus/refocus on Him to help them persevere. They did so, but know that it was only through His work and faithfulness that they were sustained. That is a great lesson for all of us to learn. Enjoy the playoffs everyone!